Time after time choosing selfishness over selflessness, human beings invariably destroy themselves and wreck their societies. 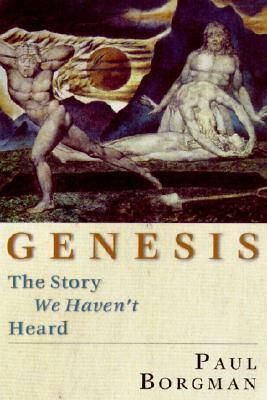 Only God can help, says Genesis. Yet God refuses to coerce. Instead he works with individual men and women who turn around--who stop trying to make a name for themselves and start trying to be a blessing to others. The transformation is slow and arduous. God waits. Captured in one of the world's best and best-known stories, this dynamic between God and recreated individuals leads from the universal chaos of Babel to blessing for all our world's peoples. Unfortunately, most of us overlook the dramatic story of God's work in early time because we read Scripture in disjointed pieces--and we think we've heard it all before! We miss the suspenseful, sweeping narrative of interconnected events. We miss the nuances of emotion and relationship between the characters. Now in Paul Borgman fits the pieces back together--revealing God's story as if it had never been read before.